There are some nice free after coupons and ECBs this week! The Accu-Check monitor is great for donating, and it’s an easy way to roll over some ECBs that may be getting ready to expire. Pay attention to the coupons in red. They all expire on the 31st. However, some stores (including mine) will accept expired coupons, so YMMV! 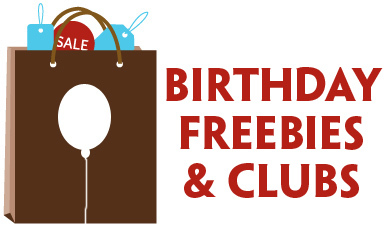 Better than FREE after BOGO coupon, $1/1 coupon, and ECBs! FREE after BOGO coupon, $2/3 coupon, and ECBs! $4.66 for Shampoo, Conditioner, and Styling Product after B2G1 coupon, $2/1 coupon, and ECBs! 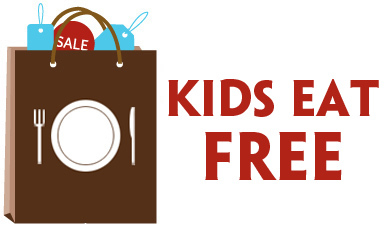 FREE or better than FREE after coupons and ECBs! 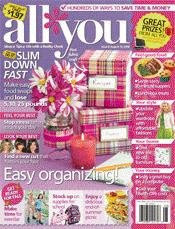 Get 2 FREE after coupon! See all ECB deals for the week of 8/31/08-9/6/08 here. Don’t forget to check out the September CVS monthly deals, as well! 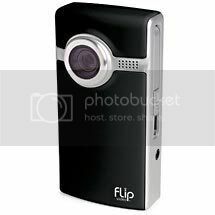 Who Wants to Win a Flip Digital Video Camera? Hopefully you’ve had a chance to check out my first-ever vlog attempt on frugal baby and toddler feeding, so you’ve seen the Flip in action! The quality of the video far exceeded my expectations, and it is SO simple to use. I was really kind of nervous about doing a video. “You, uh, want me to do what? Put myself on display in a series of videos in front of all my readers? Um . . . okay.” But I had a great time learning how to use my Flip and playing around with Windows Movie Maker. Now that I’ve got one done and relaxed a little, I’m really looking forward to my next vlog! So how would you like to have one of these fabulous little gadgets for your very own? Courtesy of Walmart and Pure Digital, I have one Flip Digital Video Camera in my hot little hands for one lucky reader to win! You could even use it to win a year’s worth of groceries by submitting your best money-saving tips on video to the Walmart channel on YouTube. I would be SO thrilled if one of my readers won the groceries!!! Every reader has three methods available to enter this contest. Choose any combination of one, two, or three, for up to a total of 3 entries!!! 1. Leave a comment telling me the best money-saving method or tip that you’ve actually used recently. Make sure that I have some way to get in touch with you if you are the winner. (Either leave your email address in your comment or make sure I can access it from your profile.) Don’t worry, I won’t harvest your email addresses or use them for any purpose other than notifying you if you win. 2. Subscribe to my feed via RSS or email and leave a separate comment letting me know you have done so. If you’re already a subscriber, simply leave a separate comment letting me know you’re already subscribed. Lovin’ my subscribers! You guys make this all possible. 3. Spread the word about this contest in some manner and come back and leave a link in a separate comment. If you have a blog, you can blog about it. But if you don’t have a blog, you’re not at a disadvantage. You could review and Stumble it. You could Twitter it. You could post about it in a forum. Use your imagination! It is important that you leave a separate comment for each type of entry because each comment is equal to one entry. Sorry to harp on this, but it really is that important to tally and select the winners easily, so I thank you from the bottom of my heart! This giveaway ends at 11:59 p.m. EDT on Sunday, September 7th. I’ll use Random.org to generate a number that corresponds with the winning comment and post the winner on Monday, September 8th. Good luck! Walgreens has a printable $10/$40 coupon available that is good Friday, 8/29 and Saturday, 8/30. Like the recent $5/$20 coupons, the terms and conditions state that your subtotal must include all other discounts and coupons to qualify. So after all of your manufacturer coupons and any other Walgreens store coupons, your subtotal must be $40 or greater to use the coupon. Now, this might not sound so hot at first glance, but don’t forget that all the September EasySaver rebates start tomorrow, so this is a great way to turn them into moneymakers! Granted I’m new to the Wags thing, but I came up with this scenario to earn you $21 on your purchase. Check it out and let me know if I have everything correct! BUY one small item, anything priced over a penny will do, such as a pack of gum (to get your total above the $40 before the $10/$40 coupon)! I’ll use a 50-cent item for my calculations. Okay, I’m still learning the ropes on this Walgreens thing, but in an effort to offer some coverage on other stores (and maybe a little selfishly because I had a great trip last Saturday at Walgreens and I want to learn more myself), I’m starting with the items that are free after the EasySaver rebates for September. I’m still trying to wrap my head around the whole “double-dipping” thing that I’m seeing frequently, so if anyone wants to take a stab at it, it would be greatly appreciated! Start buying all 9 great free after mail-in rebate items Friday, August 29th. I’m guessing you have to start early for the best selection. Do they restock throughout the month? Thanks for taking the time to educate me a little, guys! Update 9/10/08: Wow, Wags just extended 3 EasySaver rebate deals from last month, so that makes 12 freebies in all. Scroll down for the details!!! I’m really looking forward to learning all about Walgreens over the next few weeks, so thanks for your patience (and advice, too)!